If there was ever such thing as a ‘household name’ when it comes to proxy providers, SSLPrivateProxy (SSLPrivateProxy.com) would probably be the closest thing to it. If you have spent any length of time involved in the internet marketing industry, or if you are a regular user of internet-based software and services that require proxies, chances are you have already come across this company at least once during your journey. 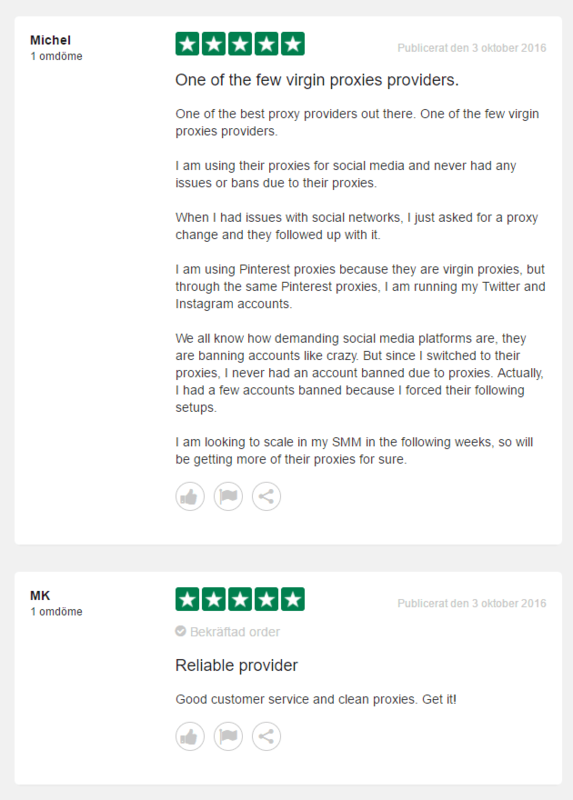 They are well assimilated into almost every relevant forum, and they have a lot of fans who swear by their service. We decided to put their popularity to the test, to see if SSLPrivateProxy were built around hype, or whether they were really worth their weight in Proxies. What Did We Purchase for The Test? What Did We Use to Test the Proxies? How Did the Proxies Perform? Would We Recommend SSLPrivateProxy to Our Readers? We didn’t want to leave any stone unturned with this review, so we decided to try out each of SSL’s offerings which included 5 private proxies, 10 shared proxies and a Virtual Private Network (VPN). Straight off the bat, it’s obvious that SSL proxies are a little bit more expensive than a lot of the other providers. This is due to the fact that they are extremely popular and have a solid position in the industry, allowing them to charge premium pricing. With that being said, the prices are still affordable, but let’s wait until after we have tested them to jump to any justifications. We decided to run the trusty SEO software GSA SER, using the proxies to help the software build a series of Web 2.0’s, forum profiles and social bookmarks. We regularly use this software for our own SEO campaigns, so we already had a rough baseline to measure against. The proxies we purchased were all located in the USA, which is often the case, but we were surprised to see how many cities were available to choose from. London, Madrid, Frankfurt, Paris and Amsterdam. We had high expectations going into this test, as SSL are often recommended as the best provider on the internet, and luckily we were not disappointed. The proxies were extremely fast, none of them dropped during the several hours that we had them running and the speeds were incredibly stable. The proxies are just one aspect of the service, and they passed the test with flying colours, so we decided to see how quickly we could get a response from their support team. We have read mixed reviews on the support system, so we decided to see for ourselves. We simply emailed SSL and asked them whether or not their proxies would work well with Craigslist and other classified websites, to which the answer was “Yes”. We received a reply within an hour, so it’s a thumbs up from us. 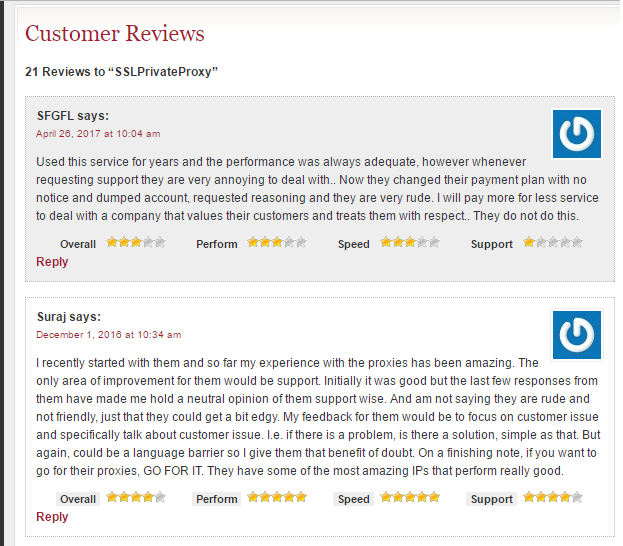 Our experience with SSLPrivateProxy has been nothing but positive from start to finish. Their website is easy to navigate, their support is easy reach and responsive and the proxies are still performing well for us. The price may be a little intimidating to those who are used to spending next to nothing on their proxies, but the price is more than justified in our opinion. 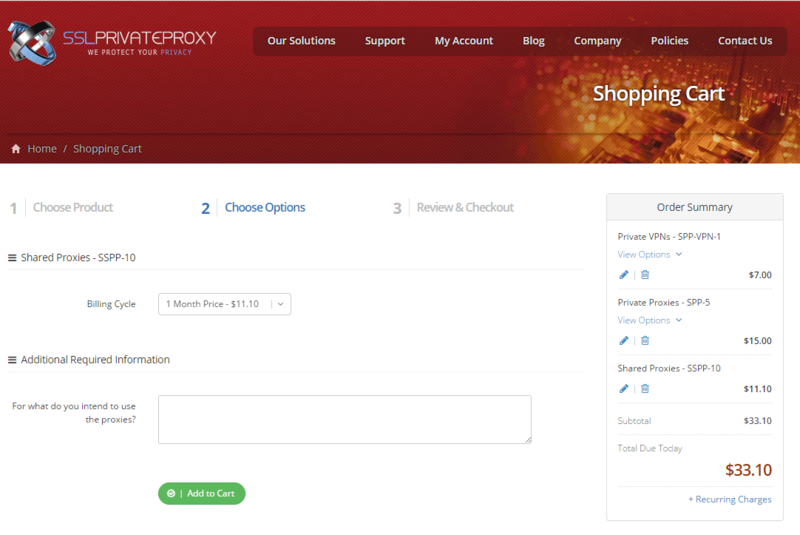 Whether you need proxies for Instagram, Twitter, Tumblr, Craigslist or any other website that you wish to have anonymity on, you can’t go wrong with SSLPrivateProxy.